New political activity rules for tax-exempt organizations proposed by the U.S. Department of the Treasury and the Internal Revenue Service have some in the sector calling the move an attack on First Amendment free speech rights. While the rules target 501 (c)(4) organization and political lobbying and activism, they can also apply to 501(c)(3) groups. Activities that will be counted as political activity under the proposed regulations include voter registration drives, nonpartisan voter guides and events such as debates at which candidates appear. The public will have 90 days to comment on the regulations from the time they’re published in the Federal Register. Organizations classified as 501(c)(4) social welfare organizations are permitted to undertake political activity, so long as it does not constitute the group’s primary purpose. Nonpartisan activities such as voter registration drives currently are not counted against that threshold. 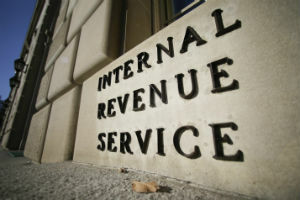 The IRS uses a “facts and circumstances” determination on a case-by-case basis to decide whether a given group’s political activity is its primary purpose. According to a Treasury Department, the following constitute political activities. Gary Bass, executive director of the Bauman Foundation in Washington, D.C., called the proposal “extremely troubling for those who believe in democratic practices.” He worries about the implications for 501(c)(3) groups: “If nonpartisan voter registration, get-out-the-vote, etc., are political for (c)4’s, how can they not be for (c)3’s?” he asked rhetorically. Fred Wertheimer, president of Democracy 21 in Washington, D.C., agreed. “Democracy 21 applauds the action taken today by the Treasury Department and the Internal Revenue Service to initiate a rulemaking to address the inadequate rules that have been used by the IRS to determine 501(c)4 tax-exempt status,” said Wertheimer in a statement. This proposal does not deal with the threshold above which 501(c)(4) organizations cannot go with their political activity before losing their exempt status. The Treasury Department will release guidelines on the threshold, according to its release.